Colour is the impression produced by the rays of light, which are reflected and absorbed by the retina, depending on their wavelength. According to the RAE, it can also be defined as the peculiar character that some things have or even as a unique quality that distinguishes the style. All these definitions of colour only highlight the importance of them in our lives, not only in a physical sense but also psychological. Colour, as we see, transmits sensations and therefore has always had a particular symbolism. We also associate colours with marks, places, situations, thoughts, etc. In a house, colour appears in many elements of its interior decoration. In the same space, one has furniture of different colours, decoration accessories, appliances and other necessary items to maintain smooth operation of the home. Also, the walls, ceilings, and floors of the house have their own colour, along with certain other elements like doors and windows. The combination and position of colours of all these items will generate a lasting impression and awaken the sensations. In this way, changing the colour of the walls to play with the chromatic palette of the furniture can help a room achieve amazing visual effects. Metallic or stainless steel finish furniture is a class apart when compared to others. These pieces never go out of style and are usually used as auxiliary furniture. Such as coffee tables inside a modern style salon or original dresser that is placed in an eclectic style dining room. But above all in the kitchen to mark an industrial air. By combining gray and brown furniture, it enhances the cold or aesthetic flair of the steel. However, stainless steel complements almost any colour, even with ranges of warm tones like the one chosen for the floor of this kitchen. The effects of steel can put a luminous touch to any environment. However, darker colour is mostly selected for the decoration of the walls. The predominant tones in this room give us unique sensations. Depending on the use of the area one can choose a more advisable colour palette. Warm colours, such as yellow and brown can stimulate the senses and create a cozy space. On the contrary, cool colours such as grays, blues, greens, and violets, create an atmosphere of relaxation. But they can also give a feeling of remoteness which is not very welcoming for certain rooms of the house. Furniture pieces painted white can be combined with walls of any colour. Also, they are valid for both warm and cold ranges. The white furniture always provides light to the room and can link both chromatic fields. This picture is the perfect example of how it creates a harmonious environment. In short, white furniture allows us to incorporate almost any colour onto the walls without fear of making a mistake. For brown furniture of which colour should I paint the walls? This is a very common question that comes up while designing your interior. Mixing warm and cool colours while playing with light tones, is a shabby chic decorating style. The furniture used in this type of decoration originated in the English country houses which mix old pieces with a rural, modern and decorative objects. In a shabby chic style interior, the furniture is usually of aged wood in white or beige. For the walls, safer colours like white, light pink, light blue or violet are always used. 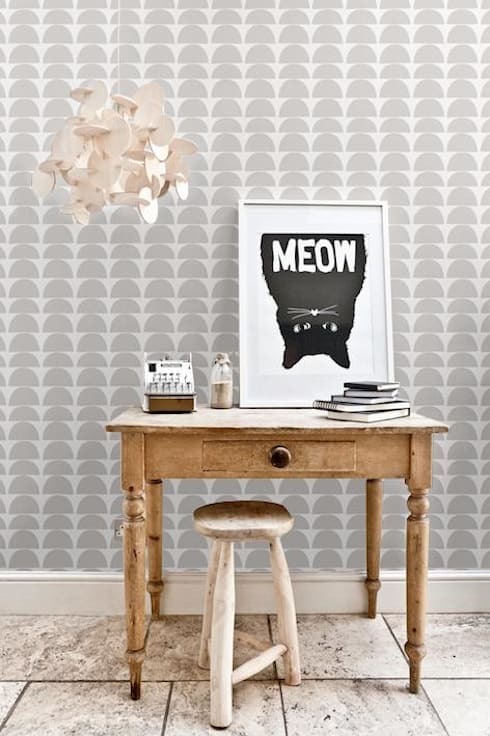 It is also common to coat the walls with wallpaper to give it some texture and create an original print. The warm tones of colours are perfect for bedrooms or living rooms as they need to convey a comfortable and relaxing ambiance. In such spaces, wooden furniture with different finishes is, therefore, ideal. Combining colour walls and furniture made of natural wood is perfect for achieving warm or earthy ambiance. These combinations are a safe bet and, moreover, are ideal for home interior decoration. 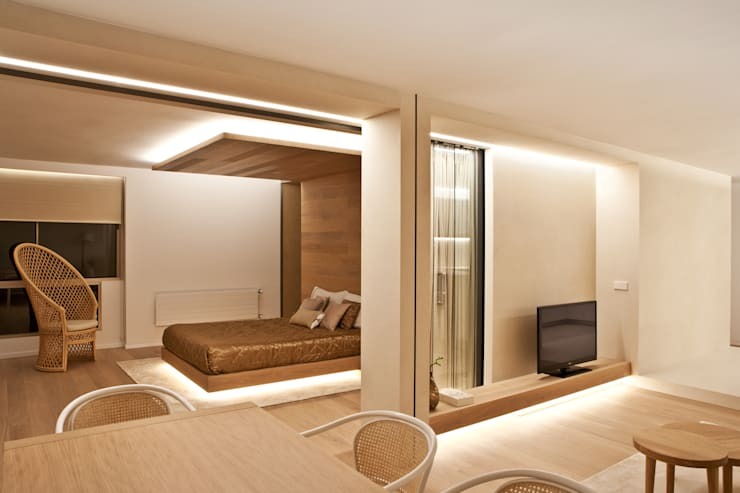 If one can complement it with indirect illumination as seen in the image, they can achieve a very welcoming interior. Metal furniture is used in interiors that opt for an industrial style decoration. They are not recommended for small spaces. 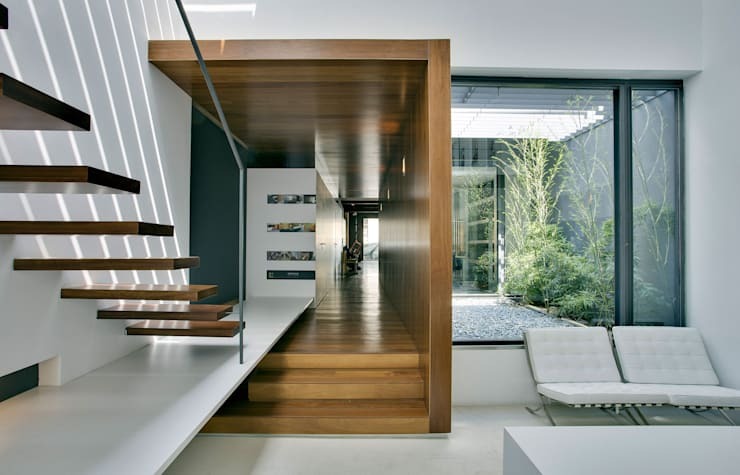 But in a room that has a high ceiling, it can provide a note of contrast and a sophisticated air to the interior. If you have this type of furniture in your room, it is advisable to bet on light colours for the walls. Otherwise, the environment can be somewhat dull. Using the colour gray, following the same chromatic range imposed by the metal furniture can also be a success. However one should use them only on certain walls while reserving the white or light gray for the rest. 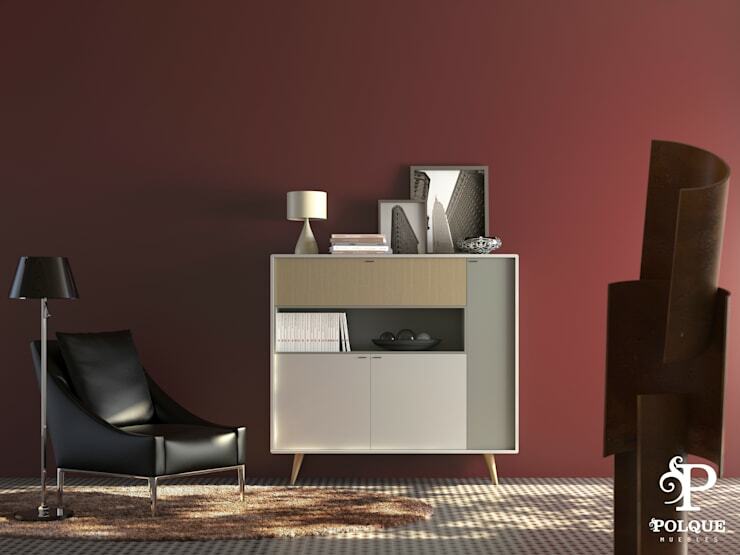 The design of the furniture and its decorative style generates impressions due to its colour. Furniture with pure and simple lines can be manufactured in different colours without them dominating other elements. This stylish dresser is lacquered in water green and oak silk which creates perfect harmony. As a backdrop for this type of simple furniture one can use basic colours, which accentuate the presence and sophistication of the piece. From the dark blue to the marsala colour here we see that by highlighting one of the walls it can give your room a very personal and theatrical touch. Which one of these ideas was your favourite?